Step into the ring of Fighting With My Family – in cinemas March 21. 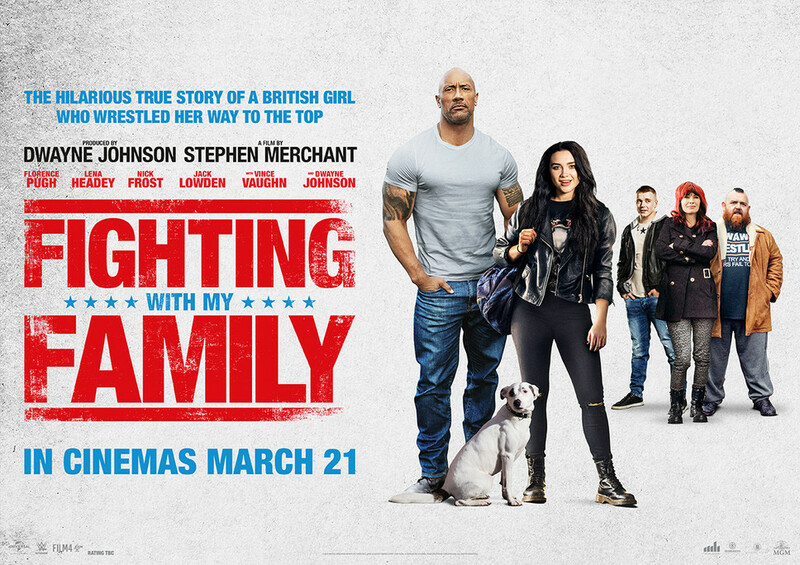 The epic smack-down comedy, FIGHTING WITH MY FAMILY is based on the incredible true story of the rise of underdog-turned-WWE-superstar Paige (a.k.a. Saraya-Jade Bevis) through the world of pro-wrestling. Packed with action, comedy and heart with big-screen performances from WWE legend Dwayne ‘The Rock’ Johnson, Vince Vaughn and Florence Pugh, this film will have you on your feet and cheering. We have 5 Double Movie Passes to Fighting With My Family to give away, courtesy of Universal Pictures. Enter below, and get ready for the most entertaining Wrestling event of the year! Fighting With My Family – in cinemas March 21. Rating: M Violence, sexual references & offensive language. If you joined the WWE, what would be your wrestling name and what would your special move be called? We invite you to share your answers with us in the comments section below. You can be as clever or silly as you like, and as brief or long-winded as you want (although shorter is better). Just make sure your entry stands out! Entries close midday, Tuesday March 19. You must be a New Zealand resident to enter the competition. The winning entry will be selected by Gameplanet from comments posted on the competition page.